Including small business to global trade: About 400 million micro, small and medium businesses worldwide will be able access global trade in an easier, trustful and more efficient way with ModulTrade smart contract blockchain-based trading platform, ultimately lowering their costs and boosting revenues. Rethinking global trade: An open ecosystem of traders, service providers (logistics, insurance, tax, etc.) and third party developers will be available to businesses, who will be able to meet trade counterparties, commit trade agreements easily and trustfully and execute trade real-time and globally, in a depersonalized and cost-effective way. Making a new currency available for global trade: Modultrade will issue the MTRc (ERC-20 Ethereum-based token), a crypto token which will run as a complementary currency for global trade on the smart contract platform. Thanks to the MTRc every business with a smartphone will be able to access to global trade (trade enabler), every service provider will be able to provide their services on ModulTrade platform (service enabler) and every software developer will be able to build their applications on the top of ModulTrade platform (3rd party application enabler). The MTRc can be used for paying products and services on the platform along with other currencies and it will be used for charging trading fees and usage fees for third parties’ services / solutions available on the platform. 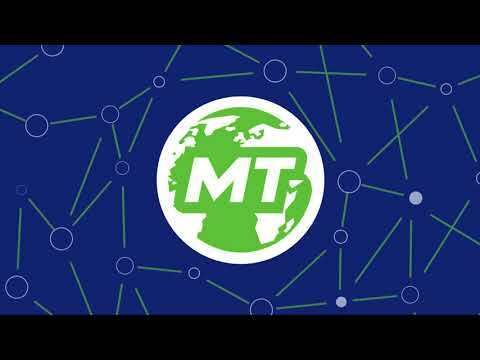 Business will be able to borrow in MTRc, also based on their reputation. Why ModulTrade and why the MTRc? The current system doesn't work well: The current trade finance system (e.g. letters of credit) is inefficient and it favours large corporates who have the scale / volumes to support a daunting process, while smaller business are left out of global trade for the prohibitive costs. As a result, 56% of SME trade finance proposals are rejected (large corporates face rejection rates of 34% and multinational corporations are rejected only 10% of the time). ModulTrade will empower small businesses: Smart contracts will replicate on ModulTrade platform such instruments like the Letter of Credit at a lower cost. In this way, small businesses will no longer need to apply to a bank for letters of credit or similar guarantees. ModulTrade will streamline global trade: Smart contracts will be used on ModulTrade platform to replace time-consuming workflow processes, dramatically reducing costs. Complex cross-border deals and their related services (e.g. freight tax, insurance, etc.) can be done without a dedicated office department, but simply with few touches on a smartphone. The costs of searching a reliable counterparty and of connecting with a network of businesses will fall significantly. With the MTRc it will be easier to trade and to develop new fintech solutions: With the MTRc every user will be able to execute trade real-time, globally and in a cost-effective way. Every developer will be able to avoid incurring big development costs by leveraging on ModulTrade platform’s technological infrastructure, whose usage will be charged to the end user. ModulTrade and the MTRc will help customers solve the problem of lack of trust and non availability of credit for micro and small businesses, underserved by today’s banking system; in short, they will democratize global trade! I rate this is a reliable project while I check their team, financial model, token model and product design. The soft cap and hard cap is reasonable. Powerful concept of global trade without an intermediary. Unique value proposition for blockchain trading system with trust. Discounts are quite high in presale. Roadmap could have been better presented with Quarter projections. Leveraging a smart contract based blockchain to facilitate small and medium businesses to circumvent banks and intermediaries is a powerful proposition and a multi billion $ market. This project has huge potential. Team does not have a KYC passed, as well as they do have some of the Advisors on the team that have more than questionable reputation within the crypto community. Concept itself is very promising and bold, however I find it hard to believe that this team will be able to execute it according to their milestones set. The idea is not amasing, but clear necessary and timely. It really can help a lot of importers and exporters espeсially of goods with individual quality.